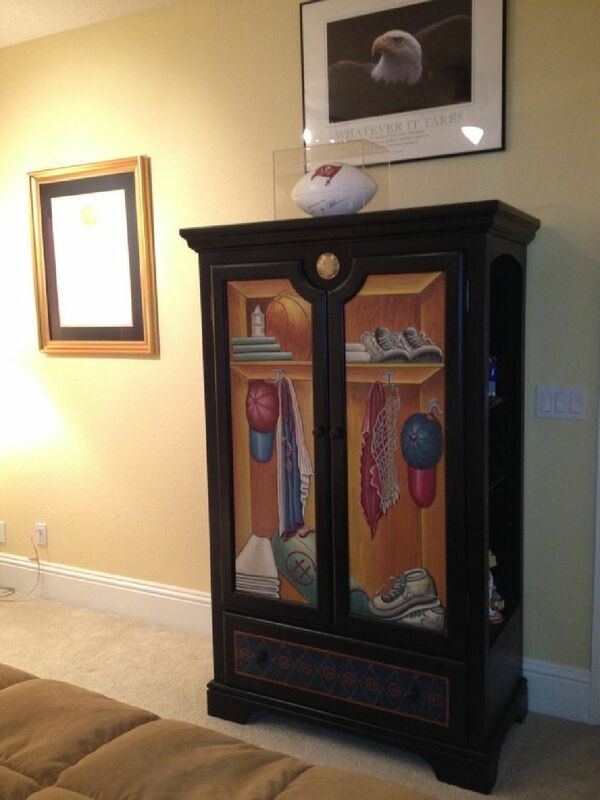 Grant Hill Designer Armoire from the Slam Dunk Collection in excellent condition. Paid $1900 new! Various Vintage items from glass to chairs to gypsy pot.